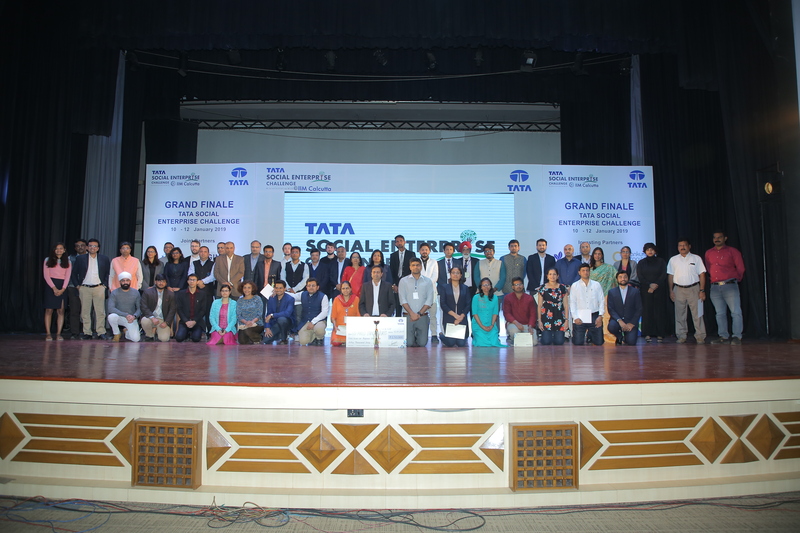 The Tata Social Enterprise Challenge 2018-19 received over 900 applications from across India in sectors such as agriculture; healthcare; water and sanitation; technology and development; education and skills development; housing; handicrafts; energy; and microfinance, among others. Out of 900 applications, the top 60 teams were shortlisted. This was followed by Regional Rounds at Kolkata, Bangalore, Delhi and Mumbai in December last year from which the top 20 teams were selected. Besides these 20 teams, two entrepreneurs from Germany joined the Semi-finals. The Semi-final and the Grand Finale were scheduled on 11th and 12th January, 2019 respectively at IIM Calcutta. In the Grand Finale the top three startups in the social enterprises space were identified. Eminent personalities also attended the event to motivate the youth towards social entrepreneurship.